Evolution is the change in frequency of heritable traits within a population from generation to generation. This is a bit unsatisfactory to me, because it can just be an oscillation back and forth between existing traits, while the hereditary traits (alleles, etc) are unchanged. While technically true, to me evolution (the process) occurs when the hereditary trait changes to a new variant of existing alleles\traits\genes\whatever. This is similar to Mayr's objection to neutral traits not being evolution because they are not selected. My personal criteria for a definition of the process of evolution is that it must be applicable in the field without genetic analysis, and it must be applicable to fossils (for which genetic information is poor to non-existing), and thus I tend to a larger, more directly observable change. This process, as Straggler notes, is also the basis for the Theory of Evolution, often conflated with the process, and it is also the basis for the science of evolution, so we do have to be careful which term we mean. Darwin did not like the term because it was already used in embryology for the development of embryos evolving through different stages. Creationists also like to bring in stellar evolution and other ways the term is meant, so it is usually good measure to qualify the use with "biological evolution" when appropriate. Since there have been a number of posters claiming that 'natural selection" has no specific meaning other than one stronger organism surviving while another weaker one perishes (in any means under any circumstances, a bomb, genocide, whatever), I think this now calls into question exactly what the definition of the ToE says. Can we please have a complete definition of what is the Theory of Evolution? He also feels that discussing this in the current Has natural selection really been tested and verified? thread will be off-topic. I concur. I suggest we first define what is meant by evolution as a biological process, and then discuss what is meant by the theory of evolution. It needs to be noted that each one of these contributory biological processes has been observed and validated to occur in nature as well as in the lab: these biological processes are facts, not theory. Each of these processes can contribute in different degrees to the evolution of a species at different times, and there is no set mixture of these processes for the overall process of evolution to occur, as long as the end result is a change in the frequency distribution of hereditary traits in breeding populations from generation to generation. Thus too, the biological process of evolution has been observed, and is a known fact. Speciation has been observed as well, and is a known fact of biological evolution - the science of studying evolutionary processes in biological systems. It also needs to be noted that there are random factors introducing changes to the distribution of hereditary traits, and there are response factors, where the result is a response to external ecological constraints on the populations. Darwin's insight was that natural processes could accomplish the same kind of selection as was observed in the artificial selection of animal breeding programs (dogs, cows, etc), and that this selection process could account for the diversity of life as we know it, from the world around us, from history, from the natural history of the planet, and the fossil record. Since Darwin's time some of his original concepts (such as how variation was acquired), have been discarded in favor of new information not available then (such as genetics), but the overall concept that all of the diversity of life could be explained by the process of evolution has remained. This is the root of the theory, the facts of the known biological processes form the foundation, and the overall process of evolution is hypothesized to apply to all changes in the past: The theory of evolution (ToE), simply stated, is that the diversity of life as we know it today -- from history, from prehistory, from paleontology, from the natural history of the planet, from the fossil record, and finally from the genetic record of life -- can all be explained by the biological process of evolution, a change in the frequency distribution of hereditary traits in breeding populations from generation to generation. Evolution - the process - is an observed process and is a fact, including but not limited to speciation events that cause division of breeding populations into distinct sub-populations that can evolve independently. 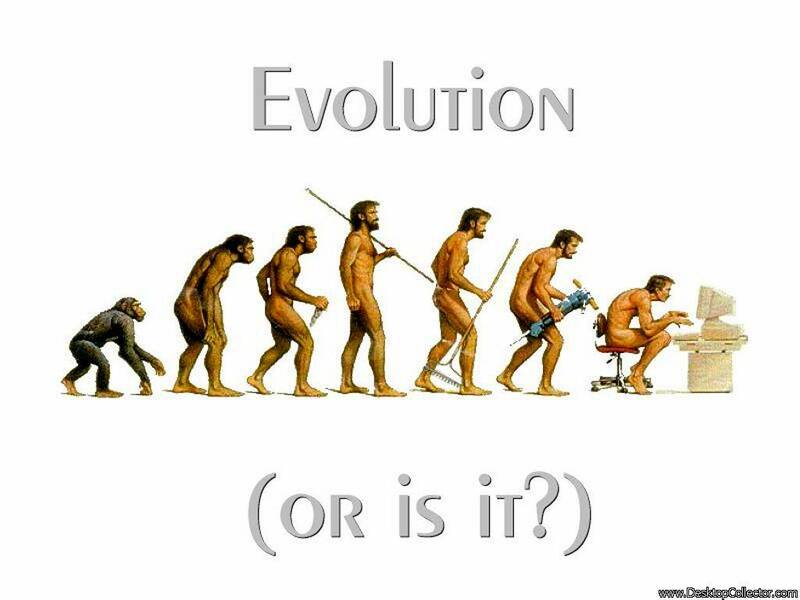 Evolution - the science - is the study of the biological processes that lead to evolution in breeding populations and to speciation and the development of long term trends in diversity due to common ancestry, and the formation of various cladistic branches and their inter-relationships as a result of continued evolution after speciation. Evolution - the theory - is the hypothesis that the process of evolution - change in the frequency distribution of hereditary traits in breeding populations from generation to generation - is sufficient to explain the diversity of life as we know it. It should also be noted, that framed this way, the Theory of Evolution is a very robust theory, not just because it has been validated by thousands of concurring observations and an absolute absence of contradictory evidence (not one change has been observed that is not due to a known biological process), but because falsification of one part of the processes contributory to the overall process does not invalidate the overall theory. The theory, however is falsifiable -- just demonstrate that a specific observed change cannot possibly be caused by these biological processes.